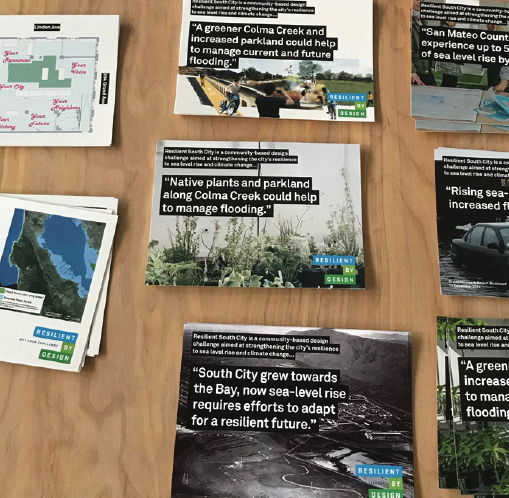 Teams used postcards with images of their vision and key statistics about flooding that were distributed locally to raise awareness about the project. The striking visual images developed by the Design Teams lent themselves well to this format. 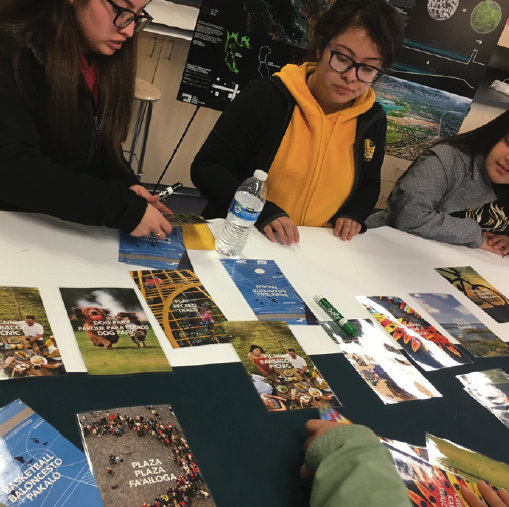 These postcards were used at Y-PLAN classroom meeting, at farmers markets, and at Cooley Landing community meeting. Postcards were distributed at their shopfront. Postcards are a great, inexpensive way to get the word out!